BIZ BASH - Vista Collina Resort, a Meritage Collection property, opened in August in Napa Valley. The 145-room resort boasts Tuscan-style decor, nine tasting rooms from local wineries and breweries, a luxurious pool with 10 cabanas, and a spacious lawn for concerts and events. Overall, the resort has 80,000 square feet of indoor and outdoor event space. 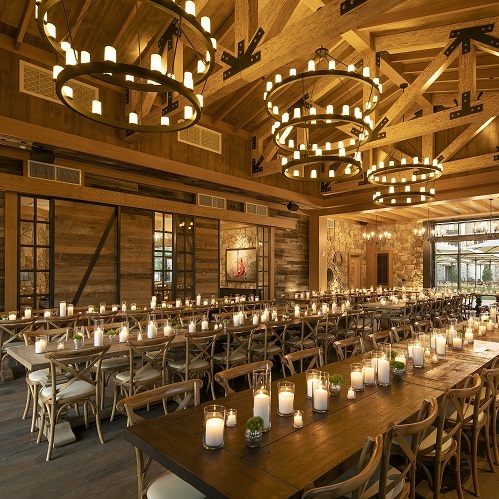 Among the spaces, the 16,000-square-foot Village Lawn can seat as many as 1,000 guests, while Vintner’s Room seats 120 guests, the Rooftop Terrace accommodates 120 guests for a reception, and the Food & Wine Center can accommodate 40 guests.